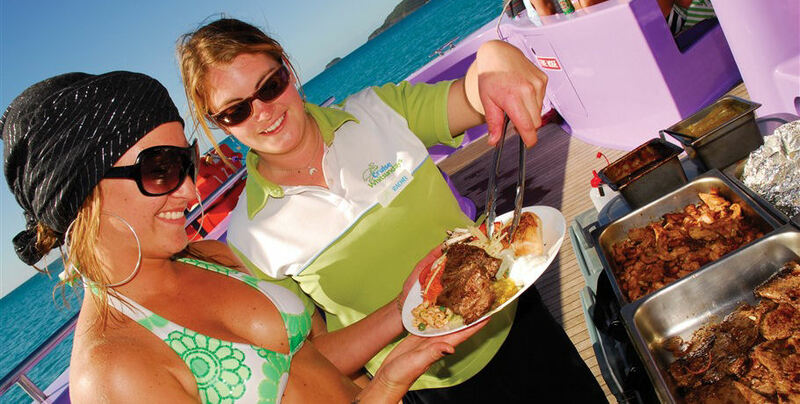 This cruise is not suitable for infants. 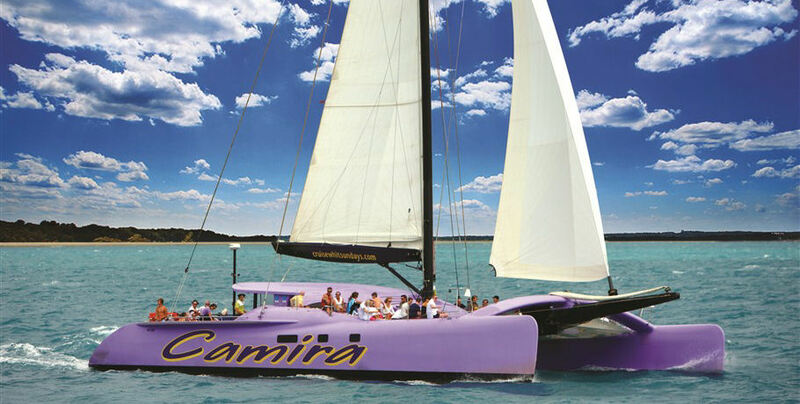 The beautiful Camira is a world first with spacious decks, sleek lines, and heart stopping performance matched by none. 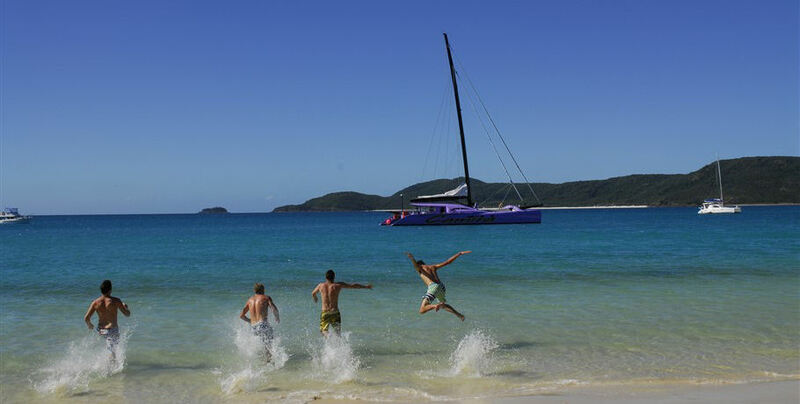 She can sail at speeds of up to 30 knots putting her as one of the fastest commercial sailing catamarans in not just the Whitsundays, but the world! 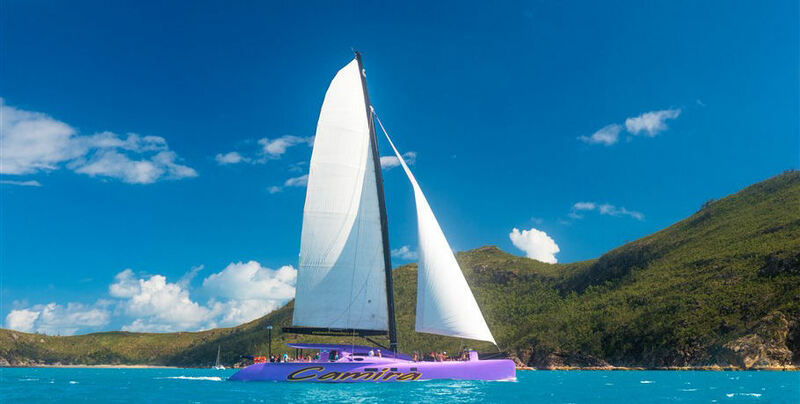 Camira will ensure you see the most that the Great Barrier Reef has to offer with the thrill of high speed sailing mixed with relaxation against the backdrop of the Whitsunday Islands. 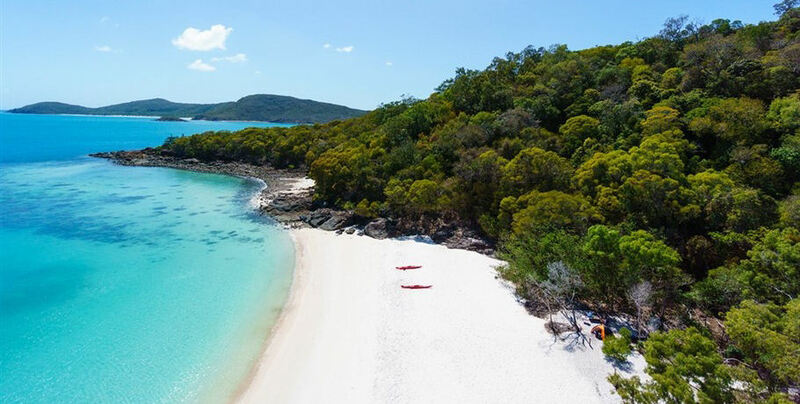 Explore the southern end of pristine Whitehaven Beach, swim and snorkel in the fringing vibrant coral reefs, and see magnificent local wildlife both in and out of the water. 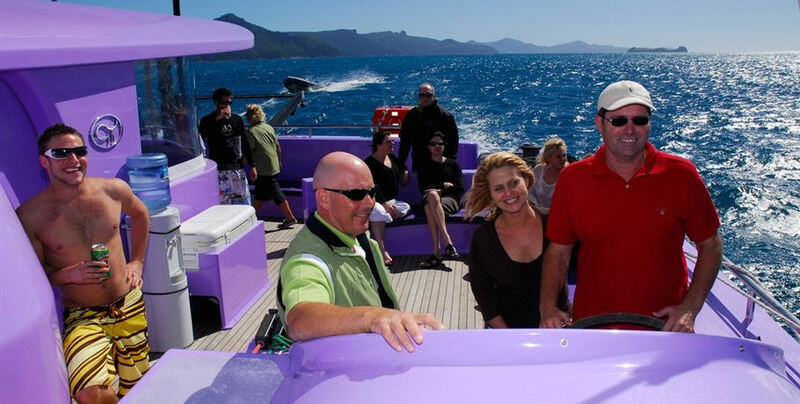 The Camira will give you a day on the water that you’ll never forget! 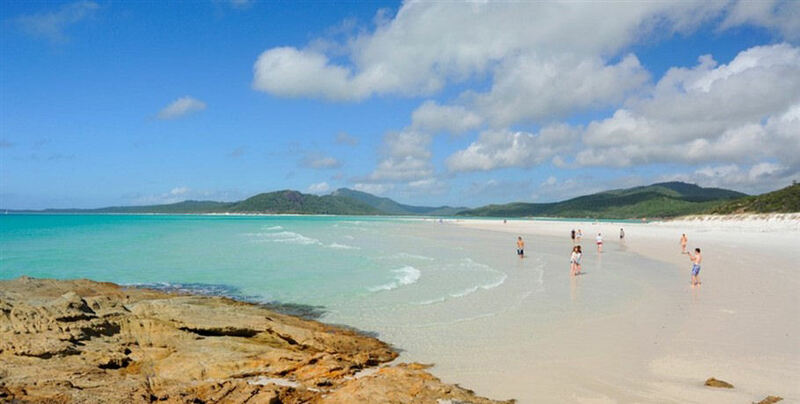 Please make your own way to the Port of Airlie Marina for check-in 30 minutes prior to departure. 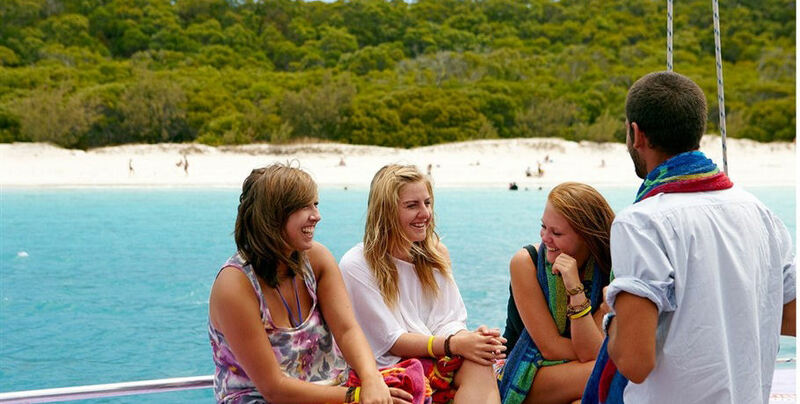 Alternatively, Cruise Whitsundays does offer a bus transfer for an additional charge. 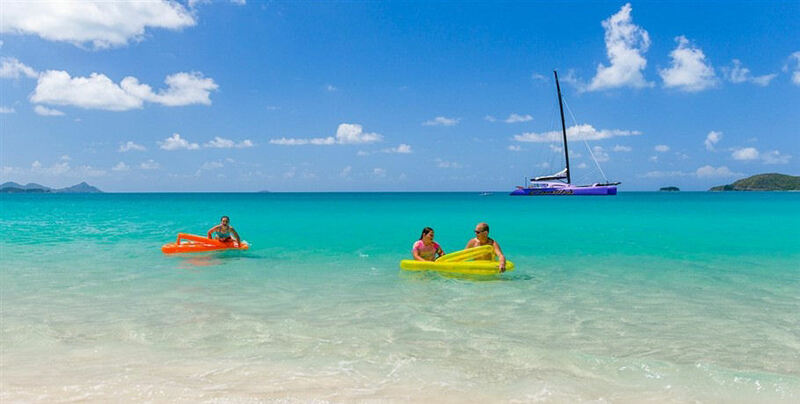 Please contact us if you wish to organise this transfer. 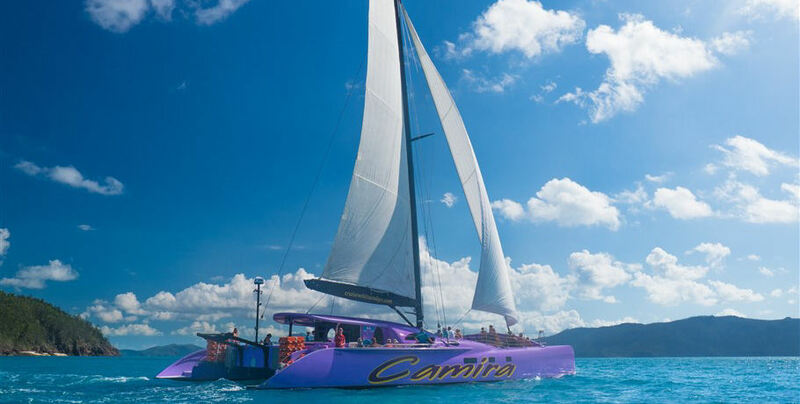 You won’t be able to miss the Camira nestled amongst the berths at the Marina. 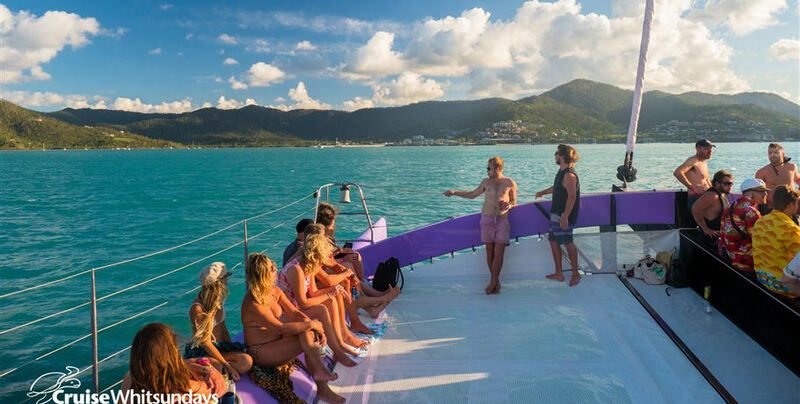 Once onboard the bright purple catamaran, your friendly crew will advise of the itinerary and provide a short safety briefing. 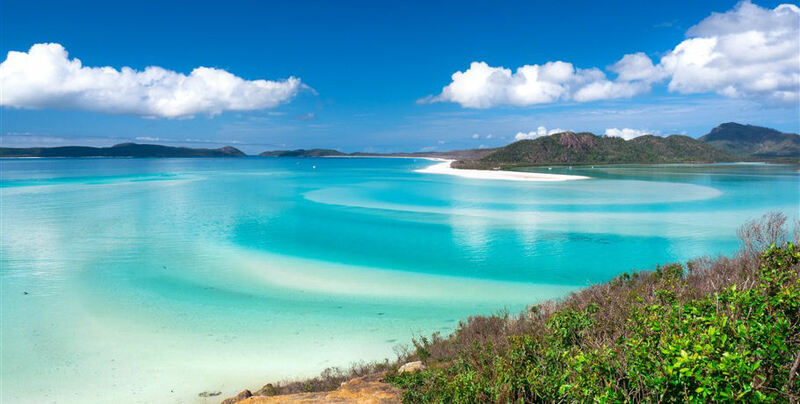 Your first stop is the Nara Inlet, close to the north point of Whitsunday Island- home of the world-famous Whitehaven Beach and the breathtaking Hill Inlet Lookout. 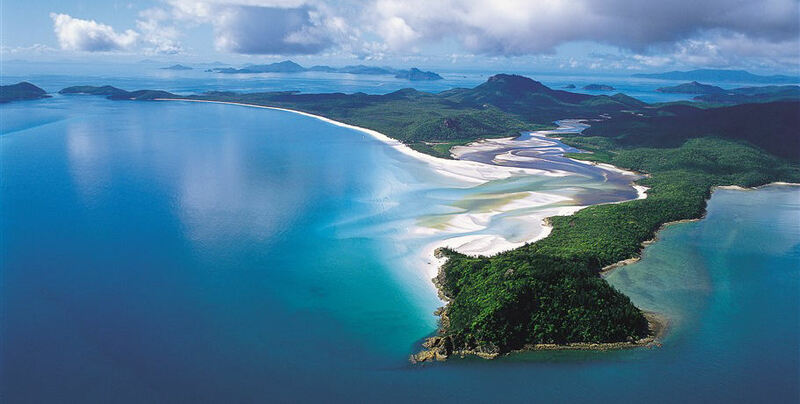 You will sail past gorgeous Whitsunday islands and be able to look out for some magnificent marine life. 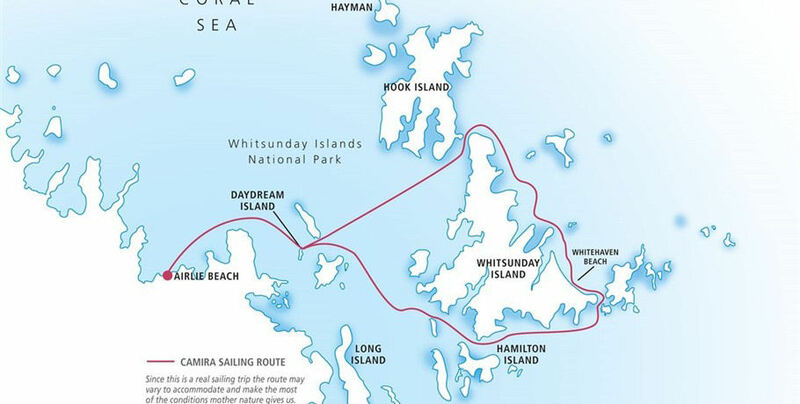 If you are visiting in winter you may be lucky enough to spot the Humpback whales that nest here. 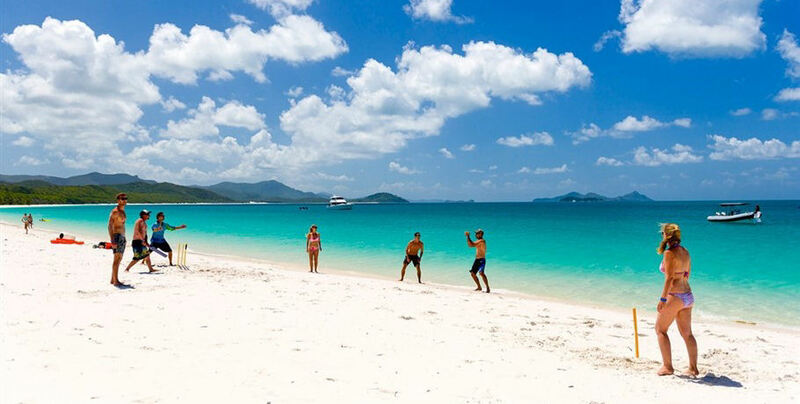 Make sure you take your camera on board as you won’t want to forget the swirling sand and turquoise water of this incredible location. 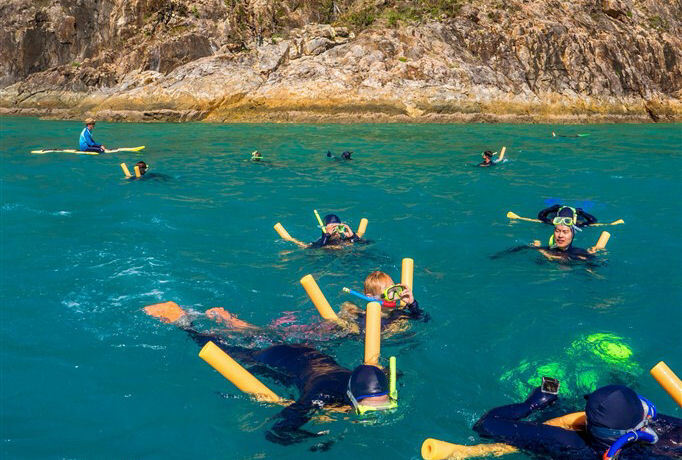 After your incredible out of water experience, it’s time to dive into the ocean at one of the Whitsundays’ amazing snorkelling locations. 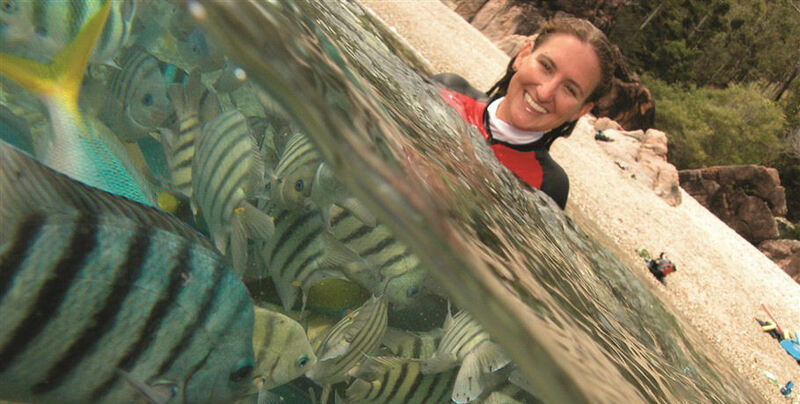 The crew will choose the best snorkelling spot based on the unique tidal and weather conditions of the day to ensure you see all the vibrant marine life that the Great Barrier Reef has to offer. 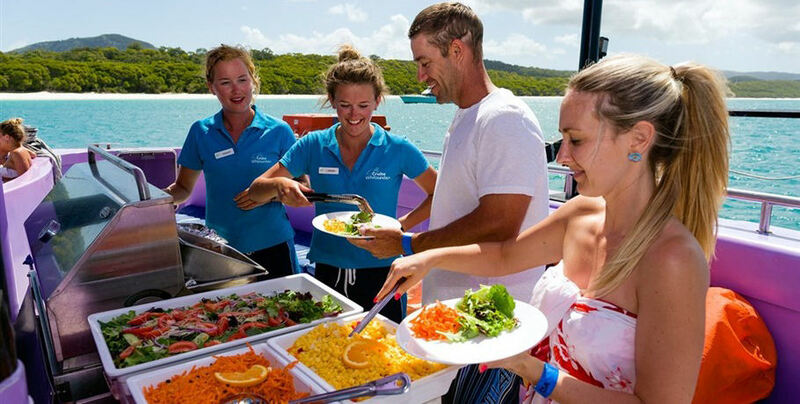 When you’ve worked up an appetite, it’ll be time to return to the boat for a freshly prepared BBQ lunch and a wide range of salads and cold meats. 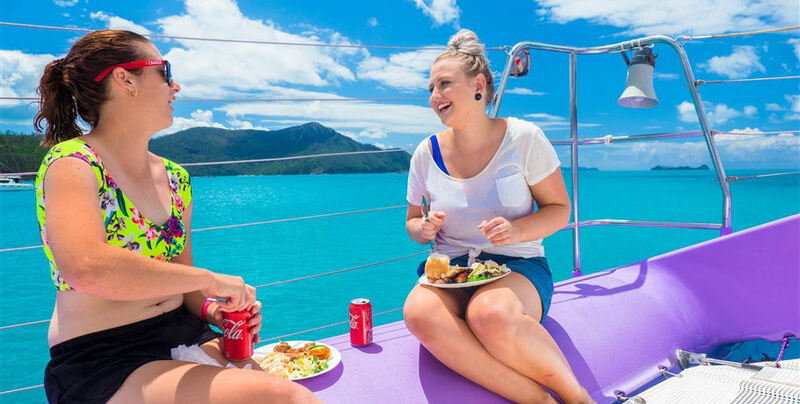 This would also be the perfect time to enjoy a cold beverage and soak up the Whitsunday sun. 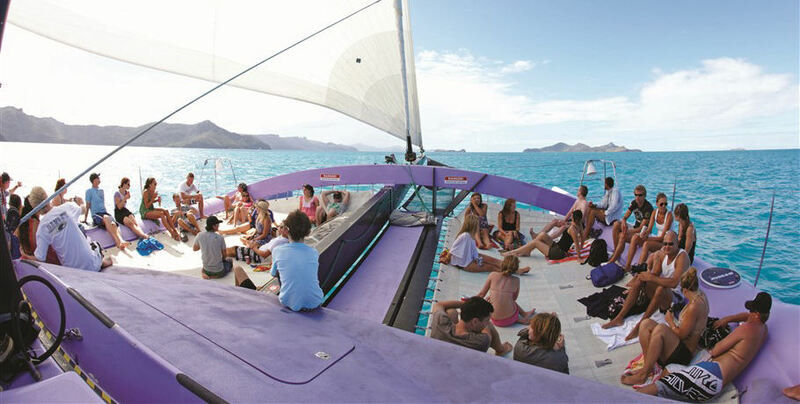 The best relaxation is had at the front of a smooth sailing catamaran. 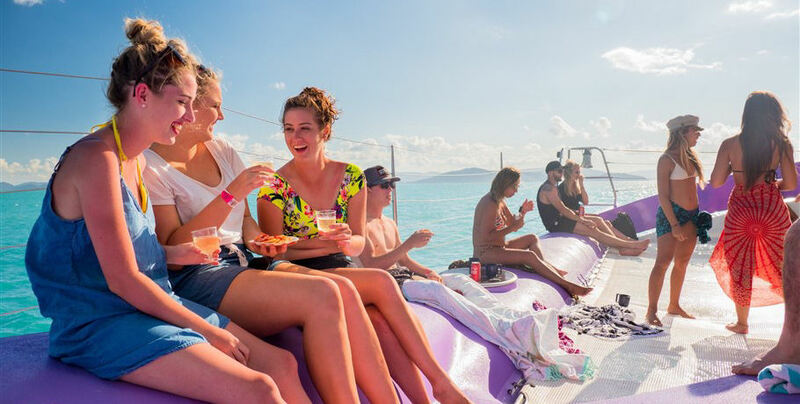 Collect a cold drink, find yourself a comfortable spot, and enjoy the ride through the Whitsunday Islands and home to Airlie Beach.